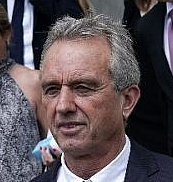 “(Natural News) Del Bigtree, founder of Informed Consent Action Network (ICAN), teamed up with Robert F. Kennedy Jr. to take on the U.S. government by filing suit against the Department of Health and Human Services (DHHS) for vaccine safety violations — and they won. This is big news for all concerned with the topic of vaccine safety. It turns out the federal agency has been neglecting their vaccine safety obligations for over 30 years. …. For eight months, DHHS tried to blockade their request (_FOIA ) and refused to provide information. Ultimately, a lawsuit had to be filed.